QTS provides individuals, practices and organizations with transcription solutions to help you reduce overhead costs and become more efficient without compromising quality or service. Most importantly, with QTS you will have peace of mind knowing that your documents will be accurate, properly formatted and returned to you quickly. 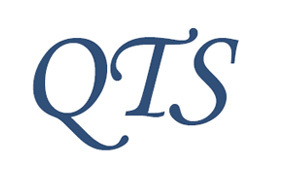 QTS offers cost-effective services to polish and refine your documents. The proofers and editors at QTS have extensive experience with proofing and editing any type of document. Quality Transcription Solutions, LLC (QTS) provides superior, high-quality transcription services for individuals and practices of any size or type, be it medical, mental health, legal, higher education, or any other professional service provider. In addition, QTS provides affordable, professional proofing and editing services. We pride ourselves in providing exceptional service and quality and innovative techniques to increase efficiency and productivity for your practice. We perform all of our transcription and editing services in the United States. That way we can maintain our high level of quality, and we can ensure all aspects of the transcription and editing process are in compliance with U.S. privacy and confidentiality laws. Our mission is to utilize our expertise to provide cost effective transcription and document preparation solutions for small and medium sized practices. QTS achieves this mission by maintaining a committed, professionally trained team of transcriptionists, editors and support staff who strive to provide exceptional quality and customer service. We perform all of our transcription and editing services in the United States. That way we can maintain our high level of quality. Further, by performing all work in the United States, we can ensure all aspects of the transcription and editing process are in compliance with U.S. privacy and confidentiality laws.